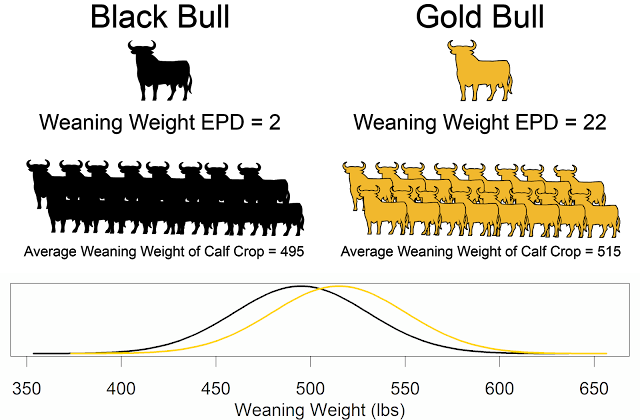 I recently came upon this post about Cattlemen's Evolution on the Bridging the Cattle Gap blog. I loved that he explained the link between reproductive technologies and genetic selection. In addition to the points raised in his post, artificial insemination also increases the selection intensity. As we use a smaller number of elite sires that are further from the average of the breed or population, genetic change becomes more rapid. On August 30th 2012, the College of Agriculture, Food and Natural Resources at the University of Missouri will be launching a new program called Quality Beef-By the Numbers. This program aims to assist commercial cattle operations to realize increased income as a result of utilizing reproductive and genomic technologies. Previously, progressive cattle operations have not been rewarded for producing a higher quality product. This program aims to change that situation. I encourage you to check it out. Scott Brown, one of the organizers of Quality Beef, recently sat down with Angus Talk to discuss cattle quality, technology, profit, and genetic selection. *As a side note, Bridging the Cattle Gap explains that evolution is a fact and is happening all around us. As I previously mentioned, I have a publication under review describing the evolution of Angus cattle that I can't wait to share with you in detail. 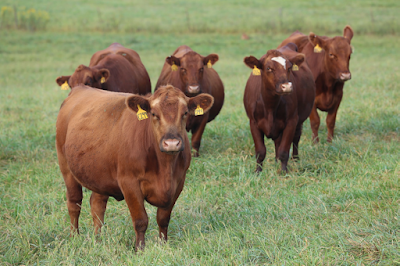 Here is another article about Quality Beef-By the Numbers, posted on Drover's CattleNetwork.